That’s right, people. 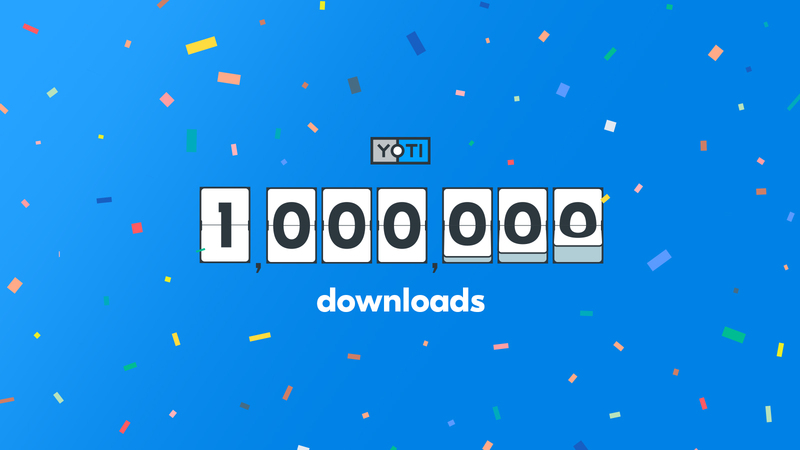 As of today, the Yoti app has been downloaded more than 1,000,000 times. People in 201 countries around the world have downloaded the app. People in the UK, India, the US and even in the Federated States of Micronesia. To reach one million installs is a fantastic milestone for the team and something we’re all incredibly proud of. But this isn’t just a huge day for us, it’s a huge day for anyone, anywhere, who wants a safer way to identify themselves. It shows that people are ready for a new way to prove their identity; they no longer want to rely on paper documents simply to prove who they are. There are already three billion smartphone users globally and we believe many of them over the next five years will choose to use a digital identity like Yoti to keep them safe and make life easier. Get the app for Android or iOS today!